The award winning SoundSational choir are now in East Kilbride! Over the past 8 years SoundSational have become one of Scotland’s most in demand community choirs, open to all with no exclusions, from ages 16 to members in their 80’s. 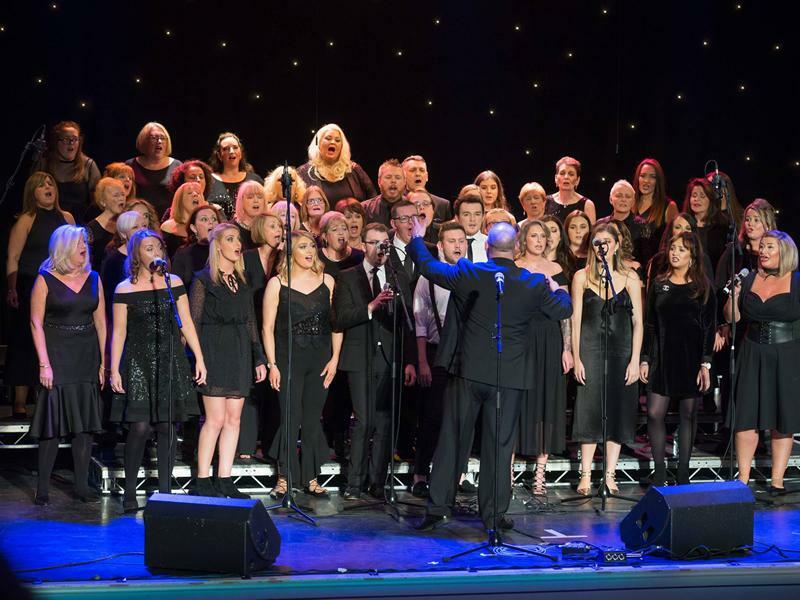 SoundSational are a community choir but over the past 8 years have performed for the BBC, STV, lots of radio and tv appearances and were the first act to perform at the SSE Hydro. Over the past 8 years SoundSational have helped to raise over half a million pounds at home and over seas which goes to prove that although community organisations are out to help others, they can also perform at an exceptionally high level. Having opened in August SoundSational’s South Lanarkshire Choir is already off to a flying start, just 1 month in and they already have two performances in the diary! SoundSational’s Annual Show on the 29th of September in Motherwell Civic Theatre and a performance with the African Children’s Choir on December the 9th, in Motherwell Concert Hall. Due to great demand and interest, they are keeping their doors open to new members for the next few months. Pop, Rock, Soul, R’N’B, Musical Theatre... they cover all genres. If you love to sing but have never had the confidence or opportunity to perform, now is your chance! If you’d like to come along and give it a try, choir rehearsals are held on Thursday evenings 7pm-9pm in St Brides RC Hall, East Kilbride. For further information on SoundSational visit the website at www.soundsationalmusic.co.uk or alternatively, contact a member of the team through email on enquiries@soundsationalmusic.co.uk if you have any questions or queries.